Originally priced at £8.99 each. 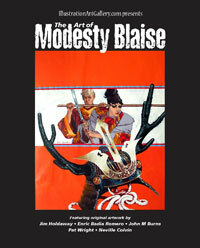 Souvenir Press, the publisher of the Modesty Blaise novels, recently closed their doors. 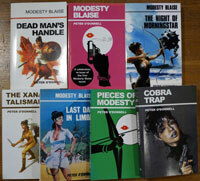 We purchased the remaining stock of Modesty Blaise paperbacks. Offered here is a collection of 7, all in mint condition, at a bargain price. Grab them for much less than half price, before they all go out of print.